The standard advertising model is that you release a campaign, then measure the results at some point to determine whether the ads are working. 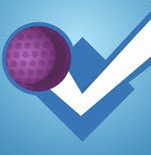 Facebook’s latest engagement metrics offer immediate visibility on your campaign’s success. Some brands are capitalizing on this by amplifying popular posts. 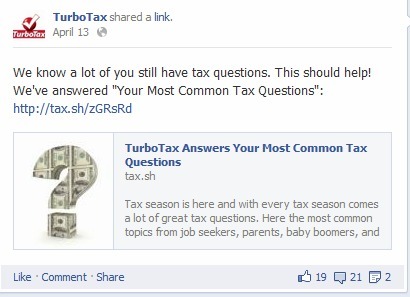 For instance, on April 17 — Tax Day — TurboTax saw certain posts that answered common questions about filing doing well on Facebook’s “People Talking About This” (PTAT) metric. In response, the brand bought advertising via Facebook that amplified the reach of those posts. TurboTax may be ahead of the curve: Schoenfeld says that most brands are monitoring their Facebook activity on a daily or weekly basis, but doing so in real-time is still fairly rare.